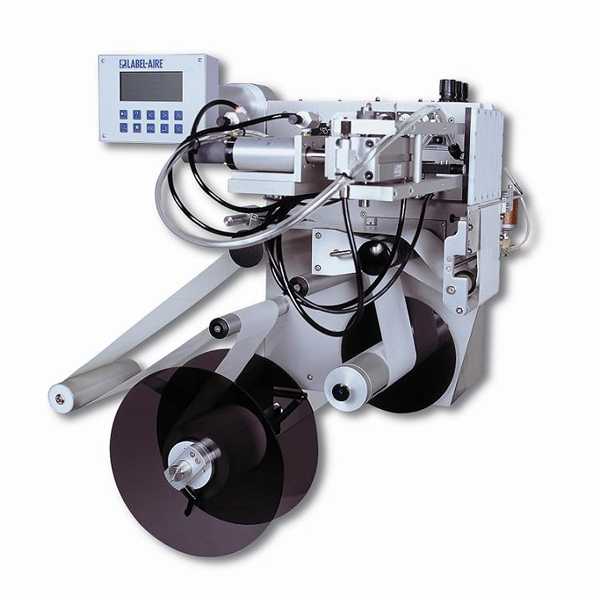 Label-Aire Model 3114 Label Applicator represents the ultimate in dual action tamp pressure-sensitive labeling technology. It is simply the most advanced two-panel labeler on the market with its intelligent controller, impressive speeds, and high accuracy. The user-friendly 3114 Dual Action Tamp Label Applicator features Automatic label setup, Quick-Action collapsible rewind, and a large R3 digital display that is Rotateable, Remoteable, and very Readable. Adding to its versatility, the 3114 Dual Action Tamp can be oriented nose-up, nose-downb or reels-up. With five onboard user-selectable languages, domestic or CE (European) configurations, and standard/metric unit display, the 3114 Dual Action Tamp can handle almost any PS labeling application on the planet.